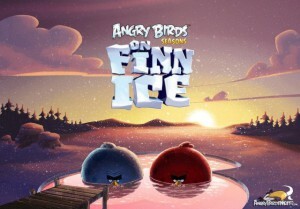 “This holiday season, Angry Birds are migrating north … way north”, says the video trailer for the upcoming Angry Birds Seasons puzzle video game “On Finn Ice”, where the famous birds are migrating north, more specifically, to cold, showy Finland with Santa’s spirit filling the freezing air of Lapland. The choice of Finland as the location for the new game episode is not random at all: it is the homeland of the game developer Rovio Entertainment. 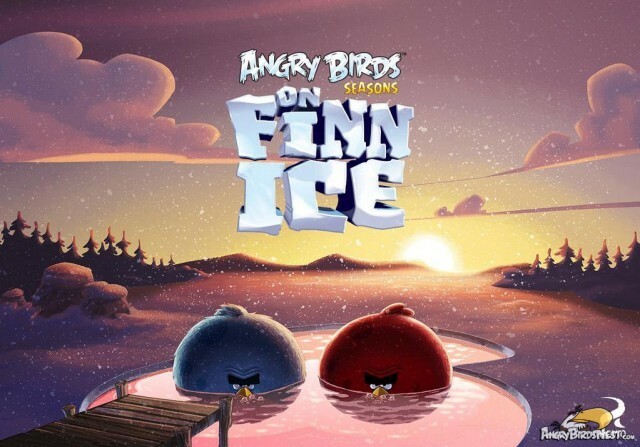 “Angry Birds: On Finn Ice” is released on November 28th, with its theme played by the world-level Finnish cello metal band Apocalyptica, which was chosen for this extraordinary task. The concept behind the new episode of the game is making millions of gamers acquaintant with the nature, culture and traditions of Finland, the place where the birds “were born”. “When they asked asked for a composition for the future episode, we grabbed this offer at once”, says Eicca Toppinen, the frontman of the band, to YleX. “On Finn Ice” discloses a lot about us, Finns, and about our humour. Of course, we had to take part in that”. The band is excited not only about the fact of being asked to record a theme but about the result of making the video trailer for the soon-to-be-released game. Finnish director Miikka Lommi made a video for the track (see below), which intertwines a live action performance by the band with animations from Angry Birds. “The video for the song features the birds and pigs from the game and us playing amid the aurora borealis!”, the band comments. Apart from the sudden Angry Birds project the band is extremely busy working on a new longplay. The musicians even had to transfer their participation in an important cello festival called Cello Biennale in Amsterdam. The recording of Apocalyptica ‘s new album, which is now in the professional hands of Grammy Award-winning producer Nick Raskulinecz (Foo Fighters, Deftones, Mastodon) is taking place in Nashville. The new LP will be titled Shadowmaker and is scheduled for release in April 2015. Straight after that the cello masters are hitting the road with 26 gigs planned in Europe. With the cellists’ upcoming album their fans are in for a surprise. The instrumental band, which previously only invited vocalists to record the vocal part for a certain song (Dave Lombardo, Corey Taylor, Till Lindemann and many more) has now decided to have Franky Perez as exclusive singer on the vocal tracks for the album, including the tour routine, following the release. Perez is known for his work with System Of A Down’s musicians, recording vocals for Slash’s solo band, collaborations with Dave Kushner (Velvet Revolver), Scott Shriner (Weezer) and the list goes on. He also enjoyed a special honour to be a vocalist for The Doors at the L.A. Sunset Strip Music Festival. Perez’s latest solo album Addict came out in 2013. Copyright(c) 2014 AlteRock.net. All Rights Reserved.